Teeth whitening is the most popular cosmetic dental procedure available today. For patients looking to whiten their teeth, take years off of their appearance, and breathe new life into their smiles, teeth whitening is an easy, convenient, and effective way to do so. Teeth whitening procedures are at the top of the cosmetic dentistry popularity poll, but where and when did the desire for a bright, white smile originate? Toothpaste got its start in ancient Egyptian when the Egyptians used a wine-based mixture to scrub their teeth. We now know that red wine is one of the leading contributors of tooth staining, along with tobacco products, coffee, and soda. 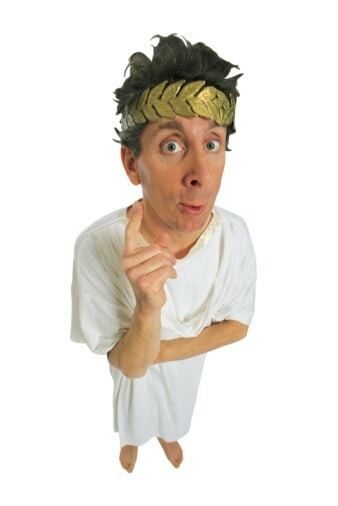 Following suit of their peers in Egypt, the Romans used human urine as the main ingredient in their toothpaste. In fact, this trend was so popular among Roman aristocracy that human urine was imported from all over the world just so the royals could have white smiles! As unappealing (and dangerous) as this sounds to us today, the Romans were on to something. Ammonia, the main chemical in human urine, has lightening and brightening qualities that are effective on our tooth enamel, which is the second hardest naturally occurring substance in the world. Luckily, we have much better options when it comes to whitening our smiles these days. Dr. William Wager and Dr. Brian Evans, family and cosmetic dentists in Reno, Nevada, offer in-office and at-home teeth whitening to their patients. Both of these methods work, and you have the freedom to choose which method is right for you. For immediate results, in-office whitening is preferable. To whiten your teeth in the privacy of your home, you may prefer using custom whitening trays and professional-strength bleaching gel. To find out more about teeth whitening, call Wager Evans Dental at (775) 800-4845 to reserve your appointment.